"Round here, you can be however you wanna be," Elise Davis sings at the end "33," one of 10 self-empowered southern anthems from her newest album, Cactus. 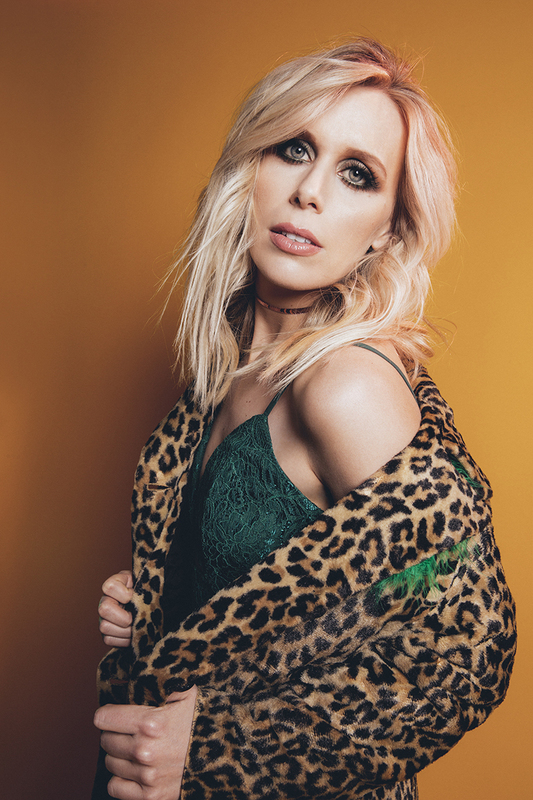 Released two years after The Token — Davis' 2016 debut, whose electrified roots-rock sound earned praised from outlets like Rolling Stone Country, Noisey, and The Wall Street Journal — Cactus shows the full range of her songwriting. Here, she moves between lush alt-country and stripped-down folk confessionals, gluing everything together with story-driven songs about independence, liberation, and resilience as an adult woman. If The Token's own songs were vulnerable and diary-like, their lyrics pulled from Davis' past romances, then Cactus turns a new leaf, with Davis taking pride in her status as a single, self-sufficient adult woman. Like the desert plant that lends the album its title, she doesn't need help from others to grow tall. "Cacti are independent plants that sustain themselves," she explains. "They can be beautiful with bright-colored flowers on them, but if you touch them, they will hurt you. I see a lot of parallels with the way I have felt most of my life. It felt like the perfect album title for these songs." Davis' independent streak began in Little Rock, Arkansas, where she began writing songs at 12 years old. By college, she was booking her own tours and gigging regionally across the state. It was her relocation to Nashville that kickstarted the busiest phase of her career, though, with Davis landing a publishing deal during her first two years in town. Daily co-writing sessions whittled her songwriting to a sharp point, while an ongoing string of recordings — including The Token, recorded in Maine and released in partnership with Thirty Tigers — all showcased a musician who shone just as brightly onstage as she did in the writing room. When it came time to record Cactus, Davis remained in Tennessee, tapping producer Jordan Lehning (Rodney Crowell, Caitlin Rose, Andrew Combs, Birdcloud's Jasmin Kaset) to helm her most personal work to date. The two worked together for six months, holed up in Lehning's home studio, looking to albums like Tom Petty's Wildflowers and Aimee Mann's Mental Illness for inspiration. They paid tribute to Davis' adopted hometown, too, layering songs like the woozy, western "Hold Me Like a Gun" and the cathartic "Don't Bring Me Flowers" — the latter co-written with Grammy-winner Maren Morris — with pedal steel, acoustic guitar, keyboards, strings and vocal harmonies. Davis' melodies remained at the forefront of every mix, her voice honest and unflinching, stripped free of the reverb that had swirled its way throughout The Token. A bold, country-leaning album, Cactus never pulls its punches. Davis examines long-term monogamy and loneliness with "Lone Wolf," "Hold Me Like A Gun," and the album's percussive title track, then talks frankly about sexuality during songs like "Man" and "Don't Bring Me Flowers." She tackles the institution of marriage — as well as the societal misconception that women should be married by a certain age — on "33" and "Married Young," then looks at wider issues like depression ("Moody Marilyn") and climate change ("Last Laugh") during the album's second half. Together, Cactus paints the picture of a modern woman in the modern world. It’s an album about what it takes to stand alone, rooted in the hard-won wisdom of a songwriter who's unafraid to shine a light on her missteps and victories.